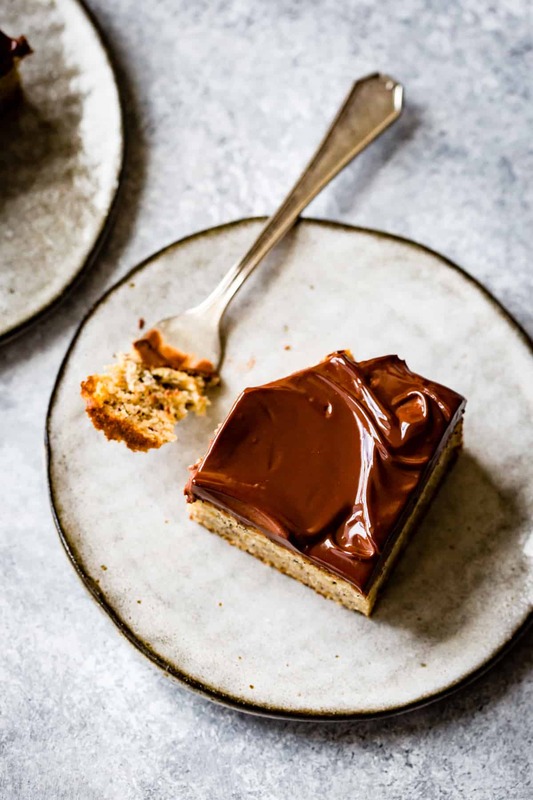 Pillow-soft banana cake gets a fine crumb from a blend of alternative flours (coconut, millet, and sweet rice) crowned with glossy coconut milk ganache kissed with a splash of dark rum. Gluten-free and optionally dairy-free. The trickiest flour that I worked with while developing recipes for Alternative Baker was coconut flour. Made from dried, unsweetened coconut that has had a large amount of its fat removed, coconut flour is incredibly fibrous, dry, and THIRSTY. It drinks up liquid in recipes like a sponge, meaning that you need far less of it than you probably think. But when properly balanced with liquid ingredients, coconut flour can produce fluffy, moist, and meltingly tender baked goods. Like this cake. The first cake I baked with coconut flour was an attempted variation of the chiffon cake in Alternative Baker, and my first try went straight into the compost post-baking. Folding the whipped egg whites into the batter was akin to mixing cement, and the results tasted about the same. But I didn’t give up on coconut flour, and the coconut flour recipes in the book turned out to be some of my favorites: Coconut Cream & Raspberry Tart, Triple Coconut Tres Leches Cake, and Cashew Lime Blondies. 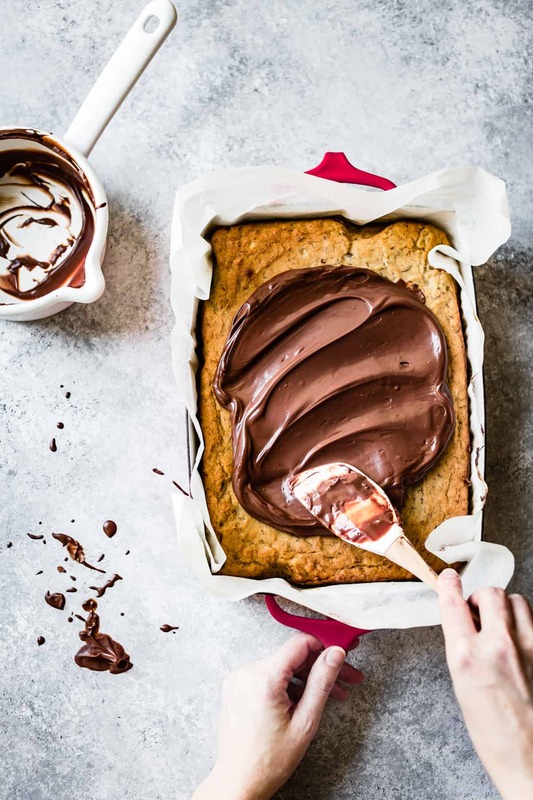 When coconut flour’s dry properties are properly harnessed, it can turn out feather-light baked goods with mild, sweet flavor. It’s one of the few truly neutral-tasting flours, and it’s also full of fiber, protein, and healthy fats. I had another run-in with coconut flour while developing recipes for the coconut flour issue of my Alternative Baking column in GFF (Gluten-Free Forever) Magazine last spring. I wanted an easy banana coconut flour loaf studded with chocolate, and I decided to make it dairy-free and sweetened with coconut sugar. After testing 5 dense, heavy loaves that never fully baked through, I finally admitted defeat. I found a more traditional banana cake recipe online, adapted it to use coconut flour, and it baked up light and fluffy on the first try. (I’ve since lost track of which recipe it was, so please let me know if it’s similar to yours so I can give credit where it’s due!) Though more involved, the results were well worth the extra effort of creaming butter and sugar, separating eggs, and folding in whipped egg whites. Unlike my super-healthy banana bread bricks, this version was gluten-free but used dairy as well as refined sugars. But the result was so perfectly luscious, I didn’t want to change a thing. I ended up developing a blondie recipe that was a better fit for the article (you can get the recipe in issue 11 via PDF download or snail mail) and I kept the banana cake under wraps. 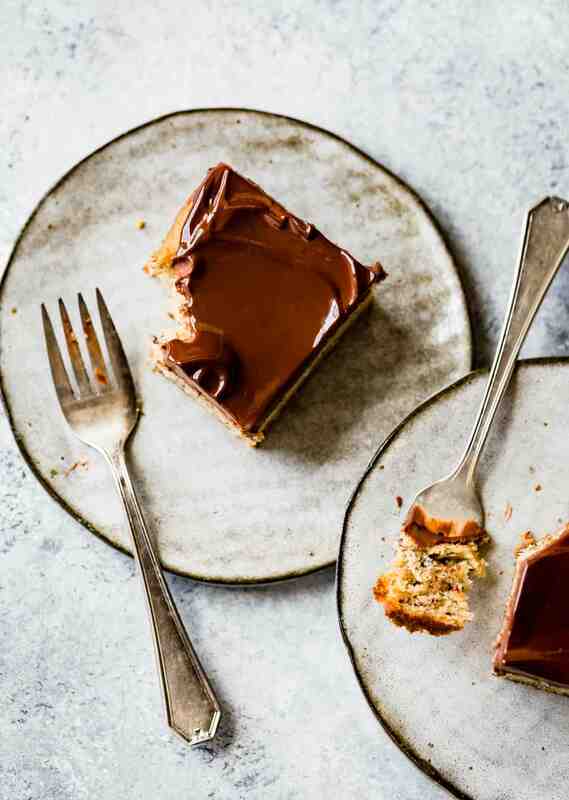 When I saw Amanda’s beautiful coconut ganache-slathered brownies last week, I remembered the banana cake. I baked it up as written to see if I still loved it as much as ever, and I did. But then I started thinking what a shame it was that the ganache was dairy-free but not the cake, and I decided to give it a go with Miyoko’s Creamery Cultured Vegan Butter (I’M OBSESSED) and a mix of cashew yogurt and almond milk for the dairy. It worked like a charm. I’m happy to say that the dairy-free version is indistinguishable from the original, so I’ve included both options. 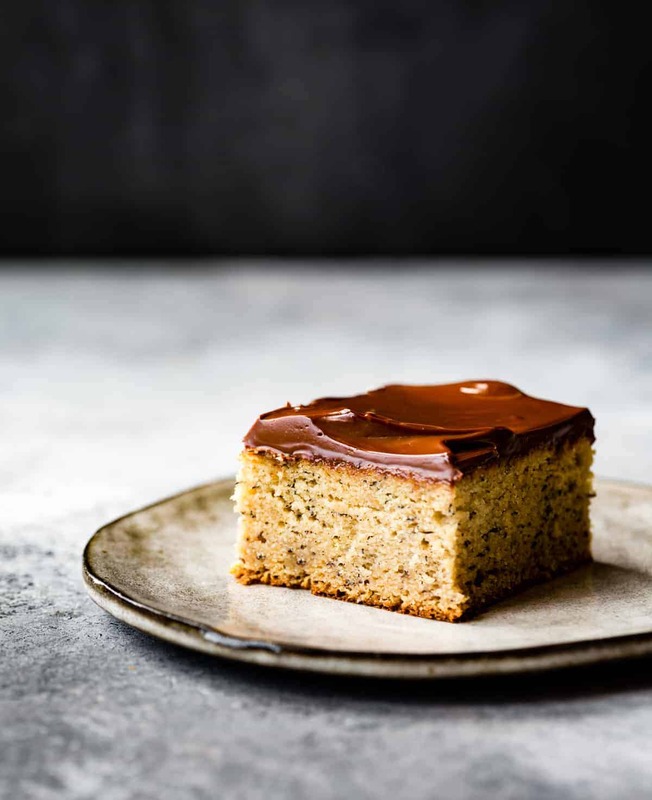 Coconut flour gives this banana cake a bit of pleasant texture – nothing as distracting as shredded coconut, but a bit more nuanced than your garden-variety AP flour based cake. 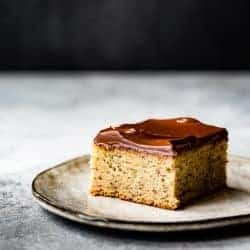 Blended with sweet rice and millet flours, plus a bit of tapioca for extra softness, the cake bakes up light and springy with a meltingly tender texture. 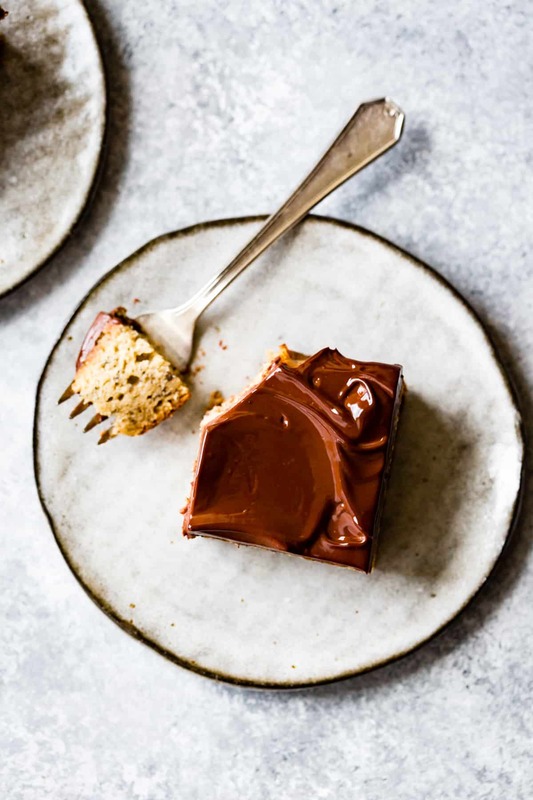 The flavor is slightly tropical thanks to ripe bananas, brown sugar, and a pour of vanilla extract, and a hit of rum in the ganache plays up that island flavor profile. 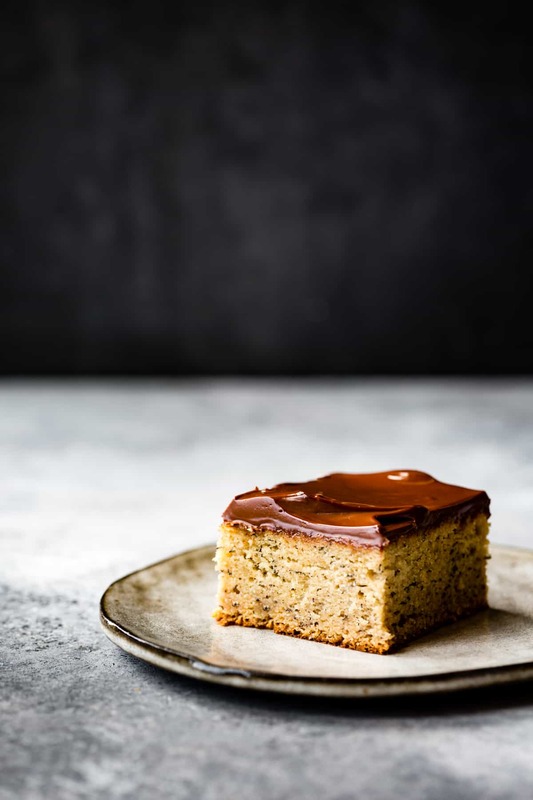 I’m on a bit of a banana dessert kick at the moment so I’m dreaming up some more variations of this cake… maybe a maple buckwheat version topped with whipped mascarpone, or a teff version topped with tahini buttercream. 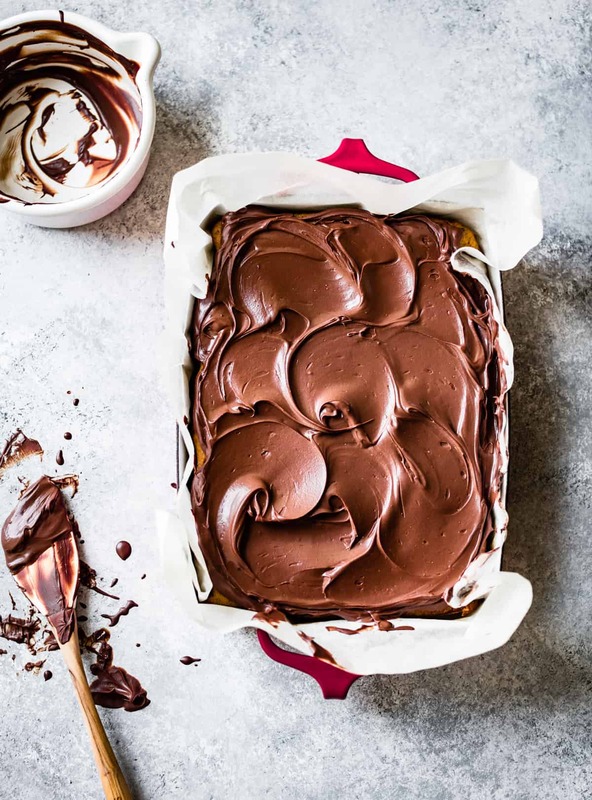 Jay also suggested folding some coarsely chopped chocolate into the cake batter for extra chocolate – I like the way he thinks. 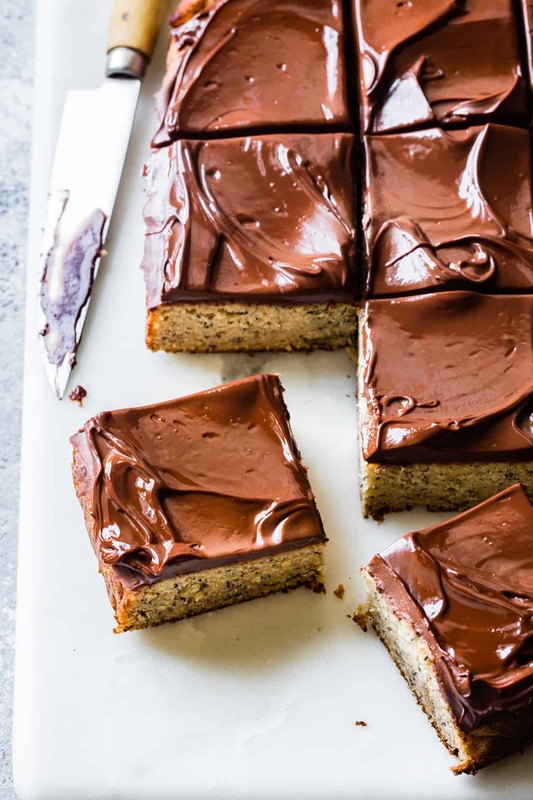 Pillowy, gluten- and dairy-free banana cake topped with rum coconut milk ganache = dessert bliss. I adapted this recipe from one I found online and unfortunately I can’t recall which one! If it’s similar to yours please let me know so I can properly credit you! If dairy isn’t an issue, you can make this with dairy butter, and replace the yogurt and almond milk with buttermilk or yogurt thinned with milk. Just a heads up that you’ll need to whip the egg whites after you’ve made the rest of the batter. I like to stir the batter by hand in a large bowl and save my stand mixer bowl for whipping the egg whites. Alternatively, you can use an electric egg beater. Take care not to contaminate the egg whites with any other ingredients aside from the sugar as it will prevent them from whipping up. If you’re looking for a way to use up the extra coconut milk, try this Green Noodle Soup with Coconut Lemongrass Broth. Position a rack in the center of the oven and preheat to 350ºF. 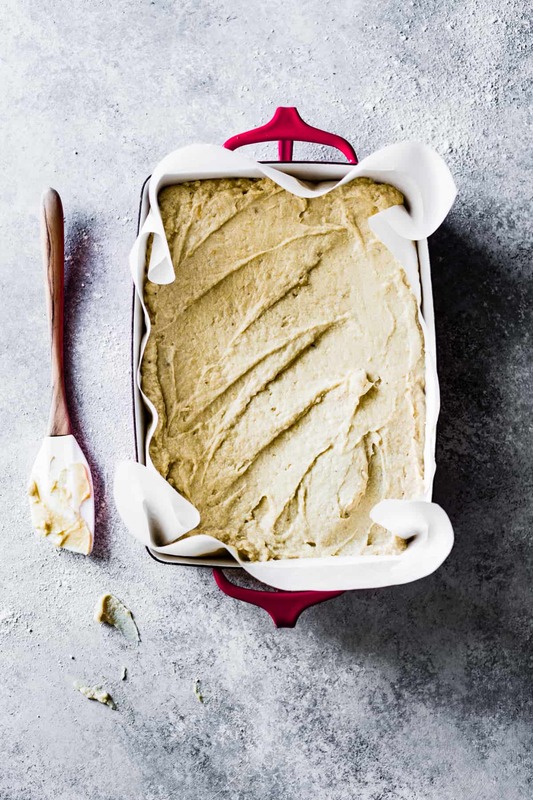 Line an 8x10 or 9-inch square pan with parchment paper on the bottom and all sides (or coat lightly with soft vegan butter). In a medium bowl, sift together the sweet rice, coconut, millet, and tapioca flours with the baking powder, baking soda, and salt. Stir together the plant yogurt and plant milk and set aside. In a large bowl with a wooden spoon (or in the bowl of a stand mixer fitted with the paddle attachment), beat together the vegan butter and brown sugar until light and fluffy, a few minutes. Beat in the egg yolks one at a time, then stir in the vanilla. Stir about one-third of the flour into the butter mixture, then stir in half of the yogurt mixture. Repeat, ending with the remaining flour mixture. Stir in the mashed banana. In the clean bowl of a stand mixer fitted with the whip attachment (or in a large bowl with an electric egg beater or whisk) whip the reserved egg whites until foamy. Slowly add in the sugar and whip on medium-high until the whites just hold firm peaks. Fold one-third of the egg whites into the batter, then gently fold in the remaining two-thirds until no streaks remain. Gently pour the batter into the prepared pan and spread into an even layer. Bake the cake until a toothpick inserted near the center comes out clean or with moist crumbs, 40-50 minutes. Let cool completely. In a small saucepan set over medium heat, warm the coconut milk to a bare simmer. Remove from the heat and add the chocolate. Let sit for a minute, then stir until melted and smooth. Stir in the rum and salt. 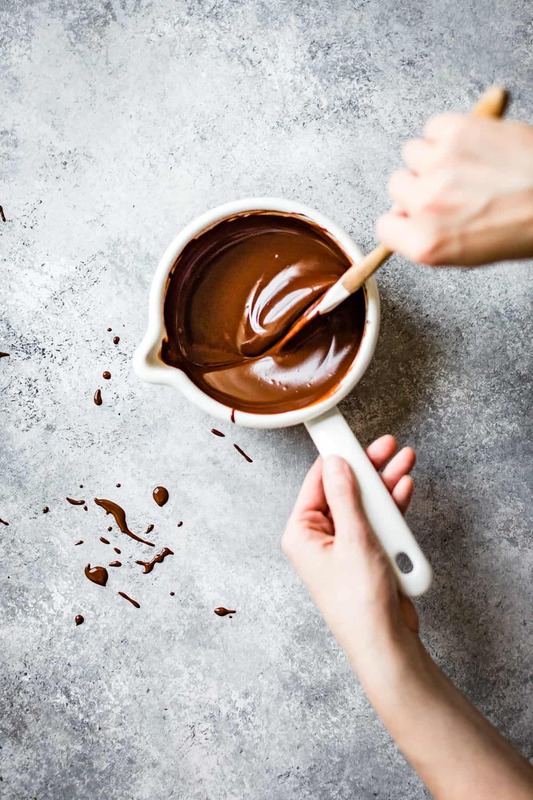 Let the ganache cool at room temperature until it holds a shape left by the spatula, stirring occasionally, about an hour (you can speed this up by placing it in the refrigerator for 5 or 10 minutes at a time). If the ganache becomes too firm to spread, just warm it over a very low flame. Swirl the cooled ganache over the cake and let cool or chill until firm enough to slice. 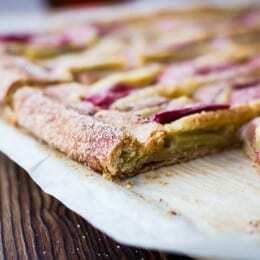 Lift the cake from the pan, peel away the parchment, and cut into 12 pieces. Serve at room temperature. The cake will keep, refrigerated airtight, for up to 4 days. I love reading your writing so much. And I learn so much from you about alternative flours. Queen! Such an inspiration. And what a beauty this cake is. My mom actually used to make the softest banana poppyseed cake when I was young, with a whipped vanilla frosting… that I still crave. And now that you’ve shared the recipe, I’ll be able to have something similar. That cake sounds INSANE! Can you please make a GF one so I can have some too? Let’s be sure to do some alternative baking together again soon (not in an Airbnb!) 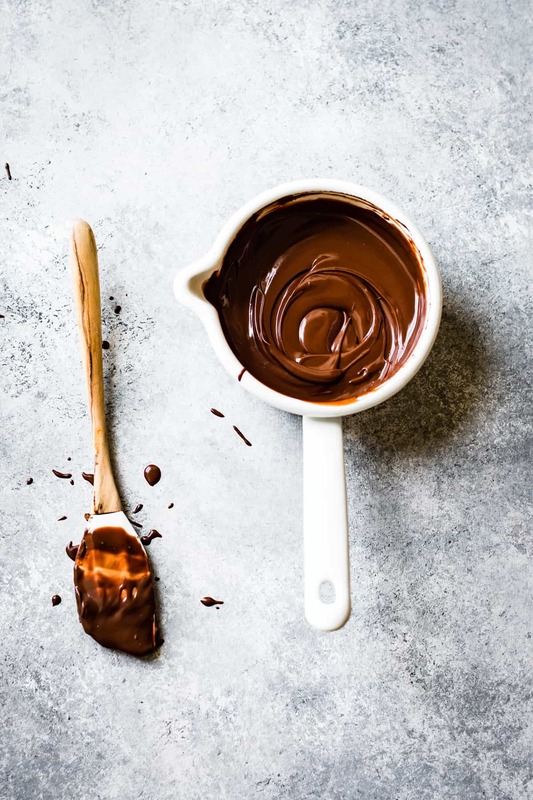 Thank you again for the glossy chocolate inspiration! The recipe above IS gluten-free. If I swap the dairy free items with the dairy versions (in grams) it will turn out correct right? Love banana cakes, especially with coconut. I know I won’t go wrong with yours. Another thing: do you think I could use a 25 cm round cake pan instead of a 9 inch square one? I don’t have that. If I’ve done the math right, a round pan with 25cm diameter has almost the same surface with the 9×9 inch pan (the first has S=490 cm^2 and the second has S=522 cm^2). So it should be OK, and probably just a bit taller). 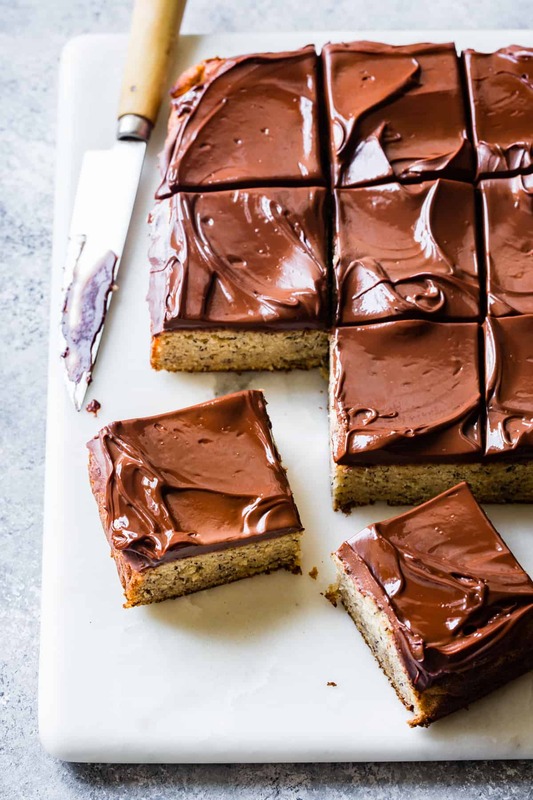 This looks as though it was adapted from Rose Levy Beranbaum’s recipe for banana cake with chocolate sour cream ganache. I have used her recipe and substituted gluten free flour and it has been really successful. I am looking forward to trying it with coconut flour! Thanks for the suggestion! I looked that one up but it wasn’t the one I remember adapting this one from, which was a personal blog. 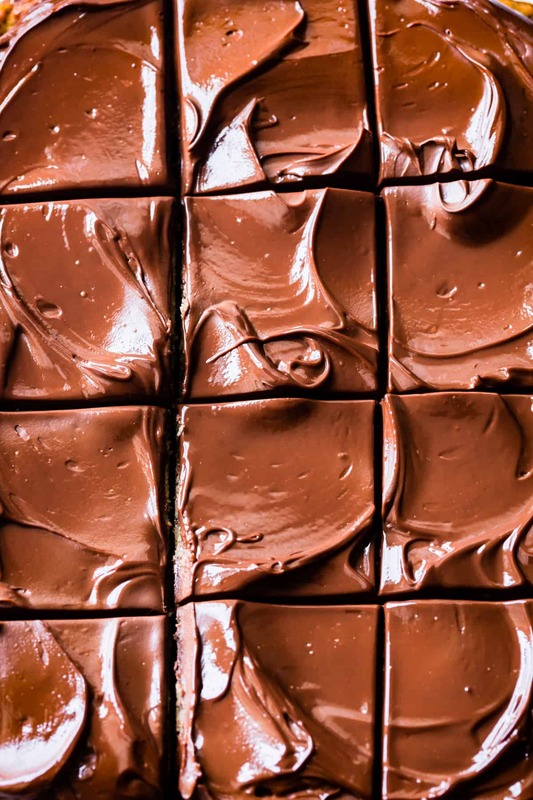 But I’ll have to give that one a try – sour cream ganache sounds right up my alley! Any recommendations for a vegan version of this cake? I’m not sure what would stand in for the egg, which not only adds moisture, but the protein helps hold the cake together and the whipped egg whites add loft. Please let me know if you experiment! 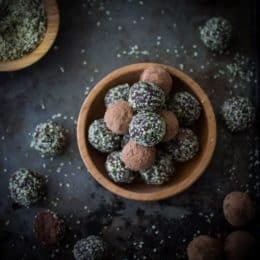 I thought I had sworn off coconut flour forever… I’ve made so many of your recipes though, and this one might just convince me to purchase another bag and give it a try! If anyone can make coconut flour work, it would be you <3 . p.s. our friends loved the recipes we make from your cookbook so much they bought their own copy, and they don't even need to be gluten free for health reasons! I think those would work perfectly! Please let me know if you try it. Also I’m so glad you loved the triple chocolate pie and that it was worth the dishes, haha – there certainly are a lot! This coconut flour cake looks positively incredible. Your photos are stunning and I can’t wait to check out your book! This cake was delicious as was everything I have made from the cookbook. I had to substitute sorghum flour as I did not have millet. Planning to make two more cakes this weekend to share. I am so happy to see your recipes in GFF magazine as well. Thank you! Aw thanks for trying my recipes Lena – I’m so glad you liked this one and that the sorghum was a good sub! What did you try from the book? xo! Hi Alanna, it’s my pleasure! I learned about your lovely book and blog on food52 where I found the article and recipe about 1 chocolate chip cookie, 4 flours. I really enjoyed several versions of the cookies and finding new recipes for the flours I had been experimenting with. Since buying the book I have made the berry chevre cheesecake squares for a bridal shower. They were a big hit…delicious and elegant. I have also made the lemon ricotta biscuits and the bread pudding, the lemon verbena bundt cake, roasted banana teff scones, and blackberry cream scones (I used blueberries). These goodies were shared and enjoyed by me, family, friends, and co workers. I was especially thrilled with the scone recipes as scones are something I really missed since going gluten free. I look forward to trying many more of the recipes from the book and blog. I’m off to make more snow day banana cake :) Thanks so much! You’re very welcome! I appreciate your wonderful work. 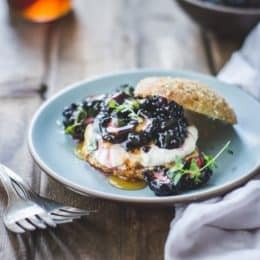 Would you be able to direct me to a gf irish soda bread/muffin or scone recipe? I used the same amount of sorghum flour instead of millet and it worked great! Yay yay yay!! How did it go?? Hi is it possible to freeze this cake? I also would like to try and double it for a party if possible? I haven’t tried freezing it so I can’t say for sure, but I think that *should* work. Please let me know if you give it a try! Thanks, I will let you know! Any advice on doubling the cake? Not that I can think of, but let me know if you have any specific questions! Are you planning to bake 2 separate cakes? Thanks so much Alanna! I am going to try your blondie recipe from gff magazine also. Have a nice week! Thanks for your quick reply! The blondies were wonderful! I’m planning to make them again today. I just got my digital copy of gff. What a beautiful cover!! Can’t wait to make the recipes especially the peach upside down cake! Aw, I’m so glad you all loved it! Thanks for the super sweet note.